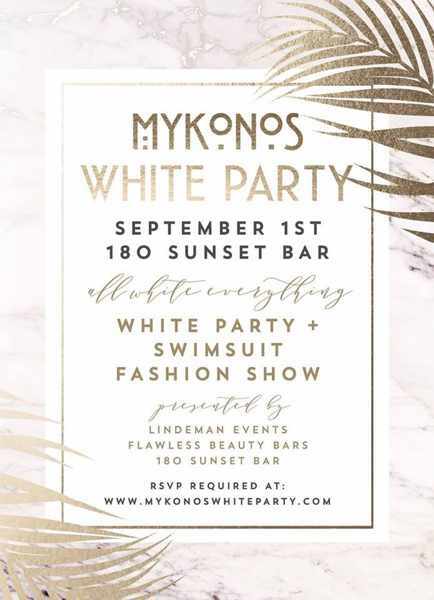 While September’s arrival is a sign that summer is winding down, that doesn’t mean the party scene is finished on Mykonos. Although Madon ended its season during the last week of August, many bars and clubs are still going strong. 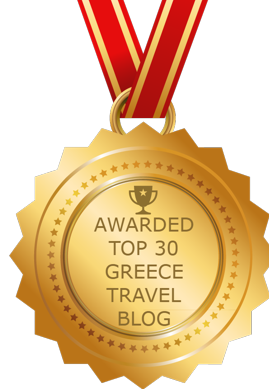 It’s also a great time for major cultural events, including the Mykonos Biennale and the Mykonos Multimedia Festival, both taking place the first week of the month. 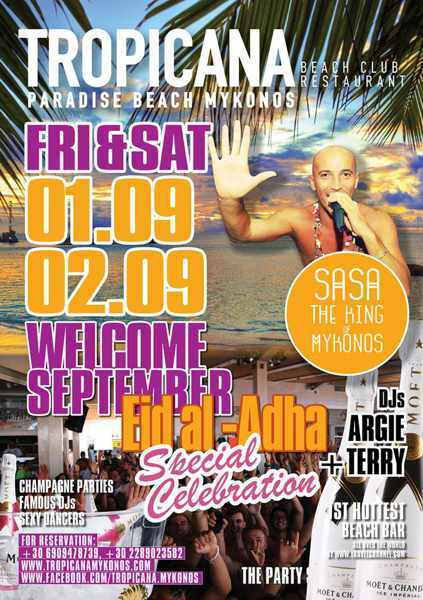 Although some venues will start to close up shop over the course of September, many bars in Mykonos Town will remain open throughout the month and into the first half of October, while some of the beach clubs will also stay in operation until at least early October. You’ll find a day-by-day list of September and October parties below and continuing on page 2 of this post. Please note that most events for October entertainment events will not be released until closer to that month. This post will be updated whenever party details are released. 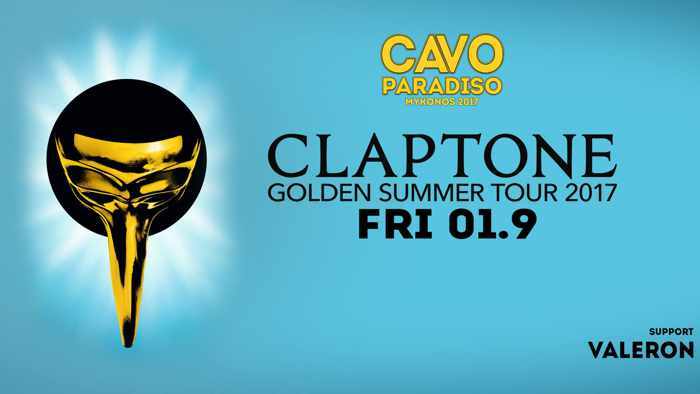 If you want to see what the party scene was like on Mykonos during earlier months this year, click here. 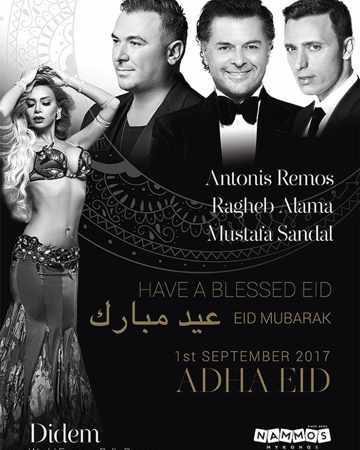 On Friday September 1, singers Antonis Remos, Ragheb Alama and Mustafa Sandal will perform in concert at Nammos in celebration of the Kurban Bayrami feast for Eid el-Adha. Also in the entertainment lineup for the evening is world-renowned belly dancer Oryantal Didem . The 2017 Mykonos Biennale — a festival celebrating art, dance, music and short film — takes place September 1 to 5 at locations around the island. 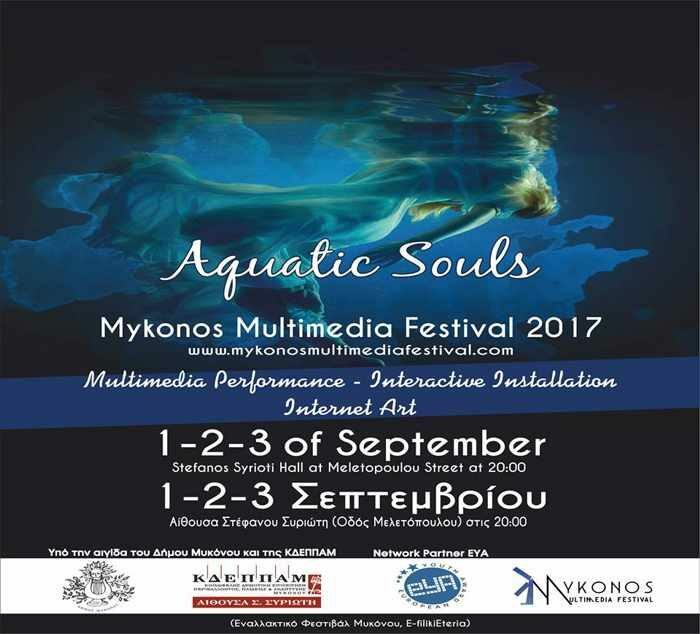 Another major cultural event on the island this month is the Mykonos Multimedia Festival 2017, featuring multimedia performances, interactive installations and Internet art. 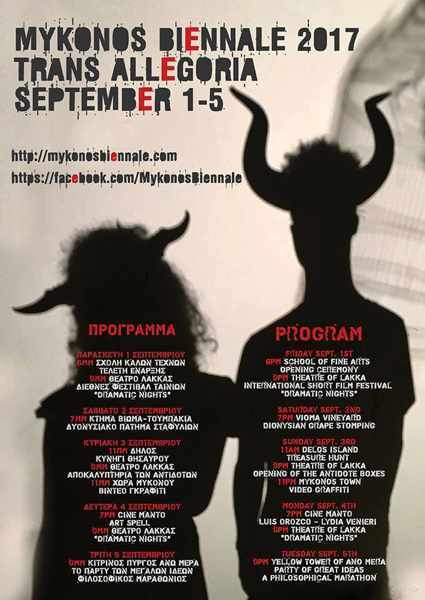 It’s being held at the Sefanos Syrioti Hall on Meletopoulou Street each evening from September 1 to 3.
hi, I am planning to come to mykanos for my boyfriends birthday which is saturday 30th september and I am wondering if much will be open – nightlife wise? There are still many places open. 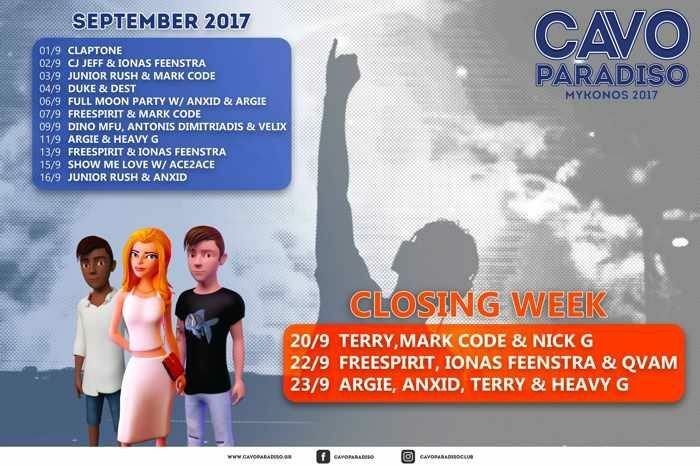 You could check out the season closing party at Astra on the Saturday night and the season closing event at Scorpios on Sunday. The beach parties are still going on at Tropicana at Paradise beach. HI, How about Friday Night? If you mean Friday the 30th there are still lots of places open. 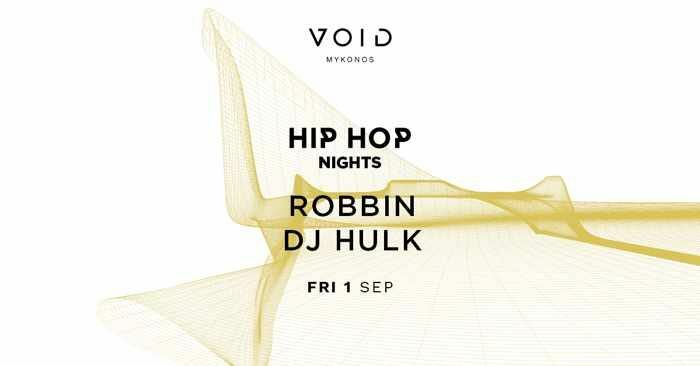 This is a big weekend for season closing parties so Mykonos won’t be quiet. Hello! Does anyone know if there will be an beach party this week? There are beach parties at Paradise beach on October 3, 4, 5 and 6 — should be one today, also. I went jogging past Paradise beach yesterday around 22 and two places were playing music but there were maybe 5 people. Pretty much dead, maybe everyone went to the Scorpios closing party and it will be different tonight. Any other places to go dance on the island tonight or tomorrow? Anything happening next two days? We here October 4-6 staying by Super paradise. If you had looked at the blog post on which you posted this question, you would have found the answer! Is there something open the 7, 8 or 9 of October? Correct me if I’m wrong, but is there nothing going on after October 9th? No major party events are scheduled but the island’s smaller bars are still open. Weekend 21-22 October, are there any beach open?? Know of any party spots still open at the beginning of Oct?